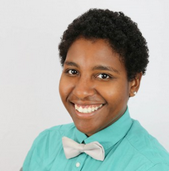 Rachel Walker is the instructor of Hackbright Academy’s Intro to Programming course for complete beginners. She was recently featured in The Root’s list of 10 amazing black women changing the face of tech. If there is anyone who can show you that coding is fun, it’s Rachel. I was on my AIM account and someone on my buddy list had a really cool profile and I thought, “You can’t outdo me!” I copy and pasted their code into my profile then just started changing things. Then, I used that same skill for my MySpace page. I went to town with my customization on everything…everything had rainbows! I never realized what I was doing was programming so I never took that much interest in Computer Science. I didn’t even realize a Computer Science major was a thing until three years in. I finally realized the stuff that I was interested in was actually programming. Programming just always seemed scary but I never realized it’s something I had been doing all along. It’s very personalized . I have a genuine interest in everyone being able to understand the material. I use a lot of metaphors and examples . Also, I try to make programming less foreign. I really try to help people see how they can apply the concepts they are learning to the real world. What will people learn in the Intro to Programming course? They’ll learn how to program in Python but they’ll really learn how to think like a Computer Scientist. For example, they’ll learn how to breakdown problems in a way computers can understand. They’ll also look at how to refactor things. How can you solve a problem – then once you do, could you have done it more efficiently? Which is hard because once you learn to think this way, you always want to be the most efficient! For example, my girlfriend is getting her Master’s in History so she had me quizzing her on dates. I was randomly scrolling through her document and picking the dates. At some point, I decided there could be a more effecient way of me quizzing her than scrolling through documents so I built a program in 10 minutes. Basically, the program would spit out random dates for us. She was so happy, but it really was only 15 lines! That’ s the kind of thing you’ll learn in the Intro to Programming course. I love to play soccer, ride my bike, and sit in the sun like a cat. What’s your advice to people considering taking the course? Don’t be afraid! Have confidence that you could do this. Programming sounds scary and seems scary but I promise you it is not. It just gets a bad rap but it’s really so much fun…you get to create something from nothing and solve problems. So my advice is basically, come by. You will learn to program and we’ll have fun while we do it. Oh man. Either ‘N Sync “I Want You Back” or TLC’s No Scrubs or a Yellowcard song. I was also a big 98 degrees fan! 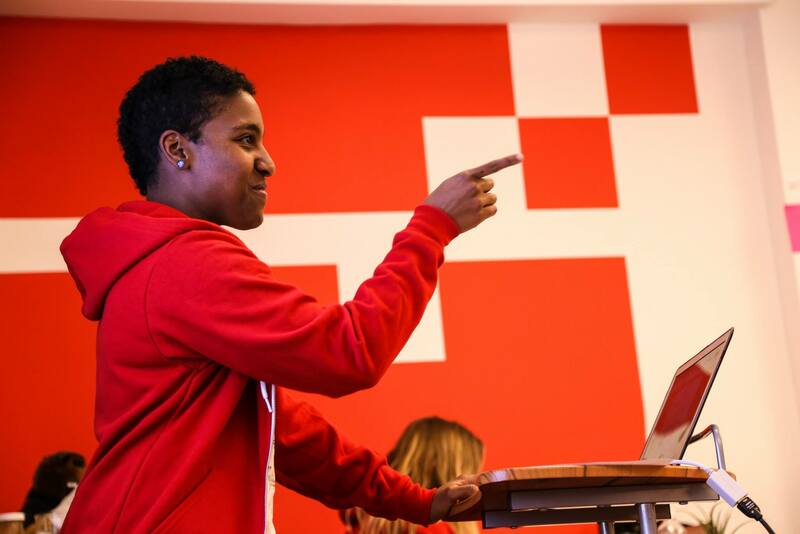 Learn more about Hackbright Academy’s Intro to Programming courses designed for women in the community who want to get into coding. Enroll in the course today and learn to code with Rachel!